I’ve reviewed vape devices for the better part of five years. In that time, I’ve said a lot of things – many of them more than once. 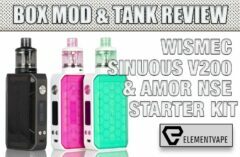 But here’s some words I’ve never once jotted down in digital ink, and one I’m likely never going to again – “You know what would make that crappy vape mod better? 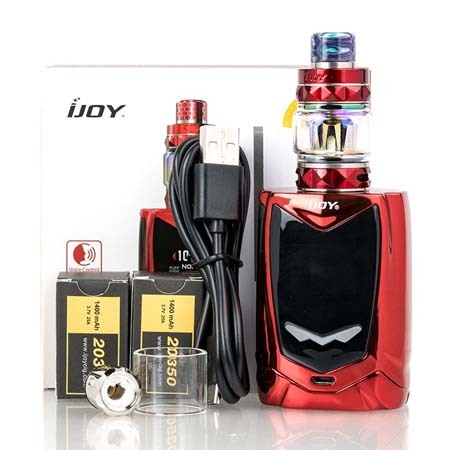 Shrinking it and giving it a new battery format, to boot.” But that’s EXACTLY what happened with the iJOY Avenger Baby kit. 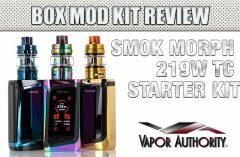 Now, before you think I’m suffering from a JUUL pod nicotine headrush, know this – the Avenger Baby isn’t a GREAT vape mod. But it’s light years better than its big brother, which puts it squarely in the “decent buy” category. And it even makes a major improvement in one area, no matter how silly and unnecessary that area is. Let’s get to it. Right off the bat, the Avenger Baby will grab your attention, thanks to its squat, fat and stubby looks. No, like its predecessor, the Baby is hoping to win a prom date through its personality, not its looks. But, with the compressed size, the Avenger Baby is much denser, more confident feeling vape mod. Whereas the original was a little hollow feeling, the zinc alloy chassis and compact design make this feel better in the hands, and easier to use on top of it. Plus, in a nice touch, the squatty Avenger Baby still has enough circumference to accommodate up to 31mm atomizers. They might look a little weird and unbalanced on top of such a short mod, but there won’t be any overhang, so there’s that. Visually, the short stature might actually do the Avenger Baby some favors, since it basically eliminates the awkward cutaways and angles of the original. Plus, with less surface area, the high-gloss (and chip-prone) paint job is less of a fingerprint magnet, too. Overall, it’s a better-looking device than the original, and about on par with most mods in this category. Unfortunately, the same Marvel-baiting logo treatment also makes a return, keeping lawyers on retainer the world around. It’s not AS obvious here as before, but it’s still annoying – come up with something better, iJOY – because you’re better than this. 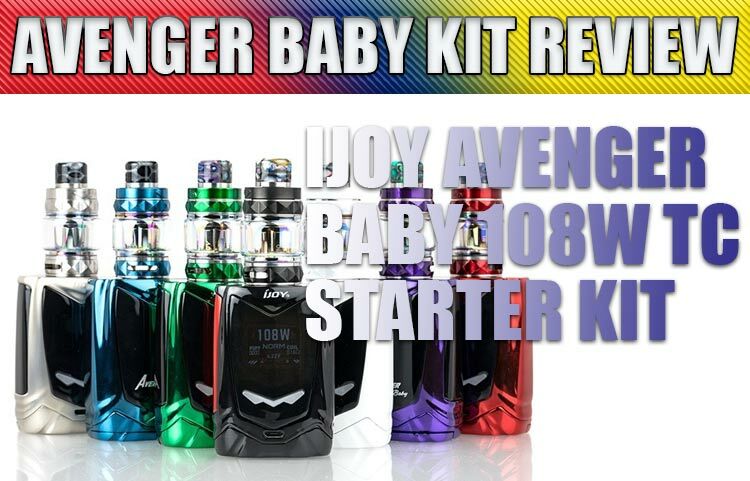 Finally, the overall construction of the Avenger Baby is rock solid, and well up to iJOY’s usually high standards. The full-length sidebar fire button is clicky and responsive, with near instant firing. Likewise, the “rocker” style single-piece control buttons are adequate and do their job without much fuss, even if they seem a little flimsy on first use. One visual highlight is the simplified display, which is clear as day, and conveys all the necessary information for a mod of this type. One thing it DIDN’T include – thank GOD – is the ridiculous pulsing heartbeat/race car design from the full-sized Avenger. Though no mod should be judged solely on a screen design, the Avenger definitely lost some precious credibility with that nonsensical and disconnected layout. Thankfully, the Baby’s more-reserved screen does its job, has easily navigated menus, and generally stays out of the way. Because of the diminutive 66mm height, iJOY had three options for powering the 108-watt Avenger Baby – internal battery, solar power, or using an unconventional external battery size. Well, Elon Musk won’t like it, but they opted for the new sized cells … and for the most part, they’re pretty good. 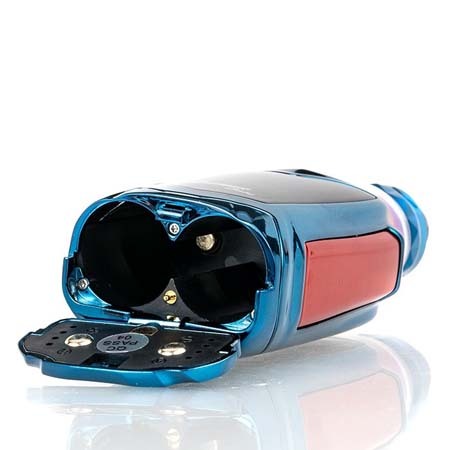 Using a pair of branded (and included) 20350 cells, the Avenger Baby basically takes a 20700’s worth of power and slices it into two equal pieces. Admittedly, I’ve never used cells this small, but they did indeed give me roughly the same power and longevity as a single 20700. Was it “world-beating” performance? No, of course not. 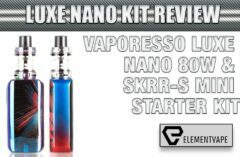 But for a pocket-friendly device, there’s more than enough oomph to get most vapers through an average day. Well, I won’t come here and tell you I’m a complete convert to voice control vaping… because it’s still one of the dumbest ideas we’ve seen since Innokin released a vape grenade. And we all know that the only thing THAT accomplished was making it more difficult for vapers to get through airport security. BUT, I have to say, iJOY did improve the voice control. Almost to the point of usability. Whereas the original needed closed windows, lack of wind and a quiet heartbeat to recognize any voice, the Baby is fairly adept at hearing and processing your requests. 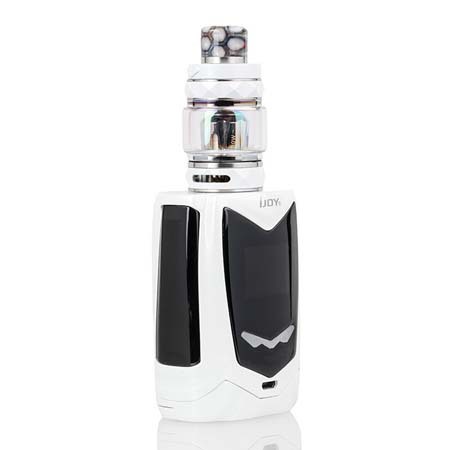 Using a simple “Hi iJOY” you can adjust power, change screen colors, lock the device and a few other things. It’s still not necessary, but at least you can show it off to your friends without having them hold their breath. 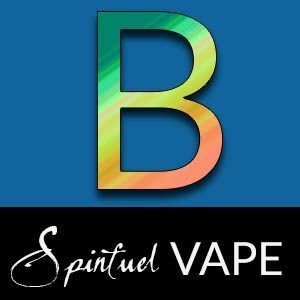 Beyond that, the Avenger Baby has a full slate of standard offerings and modes, including full temp control (for both die hards still vaping TC modes), TCR functionality, adjustable preheat and more. One interesting addition is the POD mode, which allows users to attach the iJOY VPC pod cartridges (via adapter, not included), effectively reducing the number of devices a user needs to have variety in their collection. Though I didn’t have the adapter to test, I’d love to hear user feedback about this feature on social media – this could help bring this growing vape community a little closer together. There isn’t too much to say here, other than with or without the voice control, the iJOY Avenger Baby does its job. Power mode works steadily, all the way to its stated 108 watts, with smooth ramping, stutter-free performance, and a welcome lack of surprises. Temperature control – which was nearly non-existent on the larger Avenger – DOES make an appearance here, and for the most part, also works. Using my usual array of test coils, I managed to get some decent sessions with stainless steel and titanium coils, sans unnecessary fiddling. 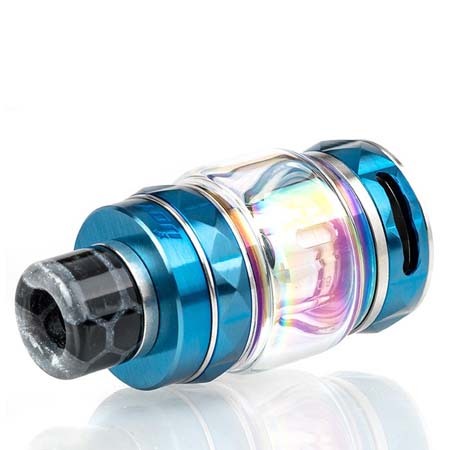 But nickel coils – the bane of my temperature control existence – presented the usual issues here, with jumpy resistances, and a general lack of power in each draw, no matter how I set the device. TCR, as usual, solved the problem. But this is a power-focused mod, and I suspect most buyers will use the Avenger Baby in that manner. 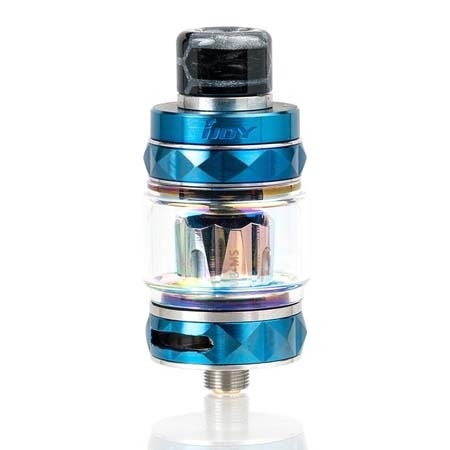 Also worth mentioning, if only for the flavor, is the included Diamond Baby sub-ohm tank, which we’ve covered before, but not with the DMB mesh coil. Now, I’m on a mesh coil hot streak lately, so maybe I’m biased, but this head was flavorful, somewhat long-lasting and offered one of the finest flavor/vapor combos I’ve had with an iJOY atomizer. The kit also includes a standard Kanthal head, which was decent, but not nearly as memorable as the mesh. If you’re debating a purchase of the Avenger Baby kit, strongly consider adding some extra DMB mesh coils to your cart, since there’s only one in the box. 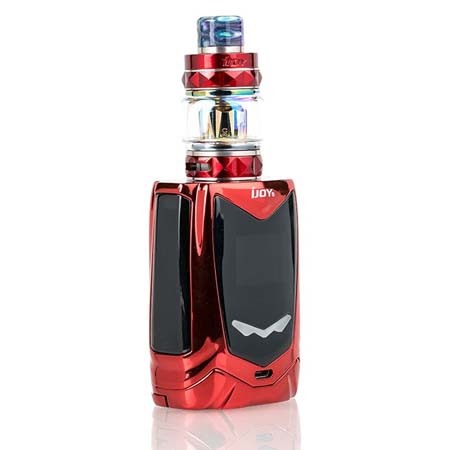 Someone should have broken copyright and called this mod the Ant-Man, not the Avenger Baby, because iJOY managed to make everything about the Avenger stronger by shrinking it down. Not only is the Avenger Baby higher-performing, but it’s just a more-focused, user-friendly vape than before. There’s nothing here you can’t get elsewhere, but brand-loyal buyers and those seeking something different could do a lot worse than the Baby. Previous : JUUL Factory Raided by FDA – Why Now?